U.S. Secretary of Agriculture Sonny Perdue today announced the selection of 15 priority areas to help address the more than $300 million trail maintenance backlog on national forests and grasslands. Focused trail work in these areas, bolstered by partners and volunteers, is expected to help address needed infrastructure work so that trails managed by USDA Forest Service can be accessed and safely enjoyed by a wide variety of trails enthusiasts. About 25 percent of agency trails fit those standards while the condition of other trails lag behind. “Our nation’s trails are a vital part of the American landscape and rural economies, and these priority areas are a major first step in USDA’s on-the-ground responsibility to make trails better and safer,” Secretary Perdue said. “The trail maintenance backlog was years in the making with a combination of factors contributing to the problem, including an outdated funding mechanism that routinely borrows money from programs, such as trails, to combat ongoing wildfires. This year the nation celebrates the 50th anniversary of the National Trails Systems Act which established America’s system of national scenic, historic, and recreation trails. A year focused on trails presents a pivotal opportunity for the Forest Service and partners to lead a shift toward a system of sustainable trails that are maintained through even broader shared stewardship. The priority areas focus on trails that meet the requirements of the National Forest System Trails Stewardship Act of 2016, which calls for the designation of up to 15 high priority areas where a lack of maintenance has led to reduced access to public land; increased risk of harm to natural resources; public safety hazards; impassable trails; or increased future trail maintenance costs. 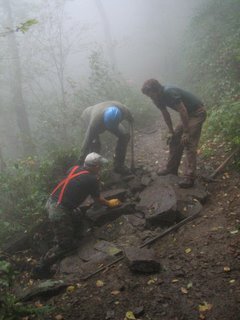 The act also requires the Forest Service to “significantly increase the role of volunteers and partners in trail maintenance” and to aim to double trail maintenance accomplished by volunteers and partners. Shared stewardship to achieve on-the-ground results has long been core to Forest Service’s approach to trail maintenance, as demonstrated by partner groups such as the Pacific Crest Trail Association and the Appalachian Trail Conservancy. Each year, more than 84 million people get outside to explore, exercise and play on trails across national forests and grasslands and visits to these places help to generate 143,000 jobs annually through the recreation economy and more than $9 million in visitor spending. 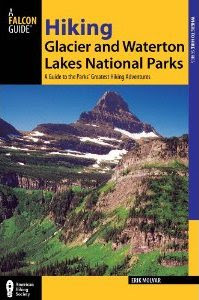 • Bob Marshall Wilderness Complex and Adjacent Lands, Montana: The area includes the Bob Marshall, Scapegoat, and Great Bear Wilderness Areas and most of the Hungry Horse, Glacier View, and Swan Lake Ranger Districts on the Flathead National Forest in northwest Montana on both sides of the Continental Divide. There are more than 3,200 miles of trails within the area, including about 1,700 wilderness miles. • Methow Valley Ranger District, Okanogan-Wenatchee National Forest, Washington: Methow Valley is a rural recreation-based community surrounded by more than 1.3 million acres of managed by the Forest Service. The area includes trails through the Pasayten and Lake Chelan-Sawtooth Wilderness Areas and more than 130 miles of National Pacific Crest and Pacific Northwest National Scenic Trails. • Hells Canyon National Recreation Area and Eagle Cap Wilderness, Idaho and Oregon: This area includes more than 1,200 miles of trail and the deepest river canyon in North America as well as the remote alpine terrain of the Seven Devil’s mountain range. The area also has 350,000 acres in the Eagle Cap Wilderness, the largest in Oregon. 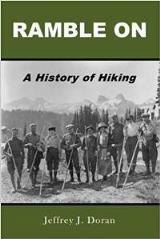 • Central Idaho Wilderness Complex, Idaho and Montana: The area includes about 9,600 miles of trails through the Frank Church River of No Return; Gospel Hump; most of the Selway-Bitterroot Wilderness areas; portions of the Payette, Salmon-Challis, Nez Perce and Clearwater national forests; and most of the surrounding lands. The trails inside and outside of wilderness form a network of routes that give access into some of the most remote country in the Lower 48. • Continental Divide National Scenic Trail, Montana, Idaho, Wyoming, Colorado and New Mexico: The trail’s 3,100 continuous miles follows the spine of the Rocky Mountains from Mexico to Canada, including more than 1,900 miles of trails across 20 national forests. The trail runs a diverse route with some sections in designated wilderness areas and others running through towns, providing those communities with the opportunity to boost the local economy with tourism dollars. • Wyoming Forest Gateway Communities: Nearly 1,000 miles of trail stretch across the almost 10 million acres of agency-managed lands in Wyoming, which include six national forests and one national grassland. The contribution to the state’s outdoor recreation economy is therefore extremely important in the state. • Northern California Wilderness, Marble Mountain and Trinity Alps: There are more than 700 miles of trails through these wilderness areas, which are characterized by very steep mountain terrain in fire-dependent ecosystems that are subject to heavy winter rainfall and/or snow. As such, they are subject to threat from flooding, washout, landslide and other erosion type events which, combined with wildfires, wash out trails and obstruct passage. • Angeles National Forest, California: The area, which includes nearly 1,000 miles of trails, is immediately adjacent to the greater Los Angeles area where 15 million people live within 90 minutes and more than 3 million visit. Many of those visitors are young people from disadvantaged communities without local parks. • Greater Prescott Trail System, Arizona: This 300-mile system of trails is a demonstration of work between the Forest Service and multiple partners. The system is integrated with all public lands at the federal, state and local level to generate a community-based trail system. • Sedona Red Rock Ranger District Trail System, Coconino National Forest, Arizona: About 400 miles of trail provide a wide diversity of experiences with year-round trail opportunities, including world-class mountain biking in cooler months and streamside hiking in the heat of the summer. • Colorado Fourteeners: Each year, hundreds of thousands of hikers trek along over 200 miles of trail to access Colorado’s mountains that are higher than 14,000 feet. The Forest Service manages 48 of the 54 fourteeners, as they are commonly called. • Superior National Forest, Minnesota: The more than 2,300 miles of trail on this forest have faced many catastrophic events, including large fires and a major wind storm downed millions of trees in the Boundary Waters Canoe Area Wilderness in 1999. A similar storm in 2016 reached winds up to 85 mph and toppled trees on several thousand acres and made the western 13 miles of Kekekabic Trail impassible. • White Mountain National Forest Partner Complex, Maine and New Hampshire: Approximately 600 miles of non-motorized trails are maintained by partners. Another 600 miles of motorized snowmobile trails are adopted and maintained by several clubs. Much of that work centers on providing safe public access to the mountain and valleys of New Hampshire and Maine. • Southern Appalachians Capacity Enhancement Model, Alabama, Georgia, Tennessee, North Carolina, South Carolina and Virginia: The more than 6,300 miles of trails in this sub region include some of the most heavily used trails in the country yet only 28 percent meet or exceed agency standards. The work required to bring these trails to standard will require every tool available from partner and volunteer skills to contracts with professional trail builders. • Iditarod National Historic Trail Southern Trek, Alaska: In southcentral Alaska, the Southern Trek is in close proximity to more than half the state’s population and connects with one of the most heavily traveled highways in the state. The Chugach National Forest and partners are restoring and developing more than 180 miles of the trail system, connecting the communities of Seward, Moose Pass, Whittier, and Girdwood.